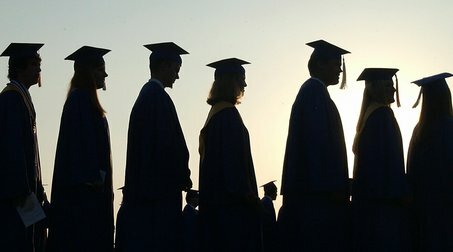 The pathway is designed for community college students graduating with an Associate in Arts for Transfer (AA-T) or an Associate in Science for Transfer (AS-T) from a California Community College and wishing to transfer to a four-year independent, nonprofit institution such as Azusa Pacific University, Pepperdine University, or California Lutheran University (38 AICCU institutions have joined and counting). 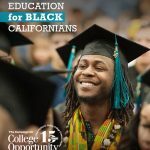 This pathway is the Independent California Colleges and Universities (ICCU) sector’s adaption of the similar partnership between the California Community Colleges and the California State University (CSU) system. Like the current CSU ADT pathway, participating AICCU institutions guarantee ADT students admission and accept the minimum of 60 units completed at community colleges so that they start at the institution with junior standing. At the AICCU, we recognize that every college student today has their own unique needs and learning styles. 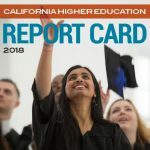 For example, sometimes an institution such as Mills College or Mount Saint Mary’s University – two of California’s three women’s colleges – would offer an environment that’s better suited for that students’ academic and career goals. Our singular purpose is to give students greater choice as they transfer to a four-year institution that best fits their needs and, ultimately, increase the number of college graduates prepared to enter the workforce and lead our ever-changing economy. 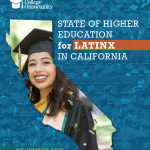 The 1960 California Master Plan for Higher Education envisioned transfer to the University of California, CSU, and the private colleges and universities as an option to expand opportunity and choice for students, and in turn support core tenets of access, quality and affordability. Today the ICCU sector enrolls about 8,500 transfer students from California Community Colleges a year. Transfer students will also be a tremendous asset to our campuses bringing their diverse experiences, perspectives and backgrounds to our classrooms and campus environment. 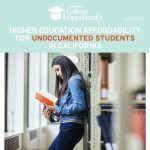 AICCU institutions enroll more than 340,000 students across California. We have comprehensive research institutions, specialized professional schools, women’s colleges, liberal arts institutions, and faith-based schools. We also have campuses that focus on the arts and those that offer non-traditional study programs. Together we are at the forefront of new and expanding initiatives, including online courses, hybrid programs, and expedited degree programs for adult learners. We are not only helping thousands of students achieve their dreams and academic goals; we’re actively finding solutions to California’s imminent economic challenges. 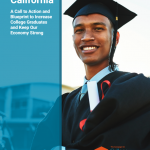 In fact, the Public Policy Institute of California projects the state will have a shortage of 1.1 million workers holding a bachelor’s degree by 2030. Through our new ADT partnership, we can serve even more students, and as the demand for college continues to increase, our state must take advantage of the capacity that our institutions can offer. This will be critical to meeting our state’s economic needs now and in the future. This partnership also allows our participating institutions to maintain the unique mission-based curriculums that set them apart from other colleges and universities. For example, some institutions may require all students complete religious studies courses, service learning, or chapel requirements. However, this agreement also ensures that students will graduate in two years which is a hallmark value of the ADT program. It’s incredibly important for students to be able to complete their degree of choice in a timely manner, and without unnecessary requirements. So far, we’ve received commitments from 36 AICCU institutions to adopt the ADT. These colleges and universities represent half of AICCU undergraduate-serving institutions – and we fully anticipate this number will grow in coming years. The momentous partnership represents a giant step forward as we strive to keep the promise of access, success, and affordability for all California students. This is a huge milestone for our entire state, and we have just opened more doors of opportunity for California transfer students.